This is a round Polarine Motor Oil and Gasoline porcelain sign. This particular Polarine Motor Oil and Gasoline sign is red and white with white and black text. 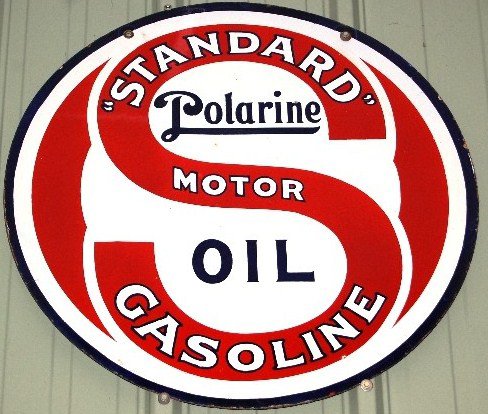 It reads, “Polarine Standard Motor Oil and Gasoline” and features a large red “S” in the center of the sign.